Ahead of its livestream for the same, Capcom has released a new trailer for Monster Hunter World’s Behemoth update. It will be out on August 1st at 5 PM PT and the trailer offers a look at Behemoth’s abilities, the sheer terror of his Meteor spell and much more. As a collaboration with Final Fantasy 14: A Realm Reborn (which will see Rathalos appear in that game), Behemoth in Monster Hunter World is massive. It seems he’ll be fought in the Elder’s Recess and summons smaller meteors down on foes. He can also use his massive claws to maul Hunters. Of course, the most awe-inspiring ability is Meteor which brings a huge meteor down to annihilate everyone. Needless to say, you better come prepared. The trailer also offers a look at the new Dragoon Armour and weapon, the latter functioning like an Insect Glaive. 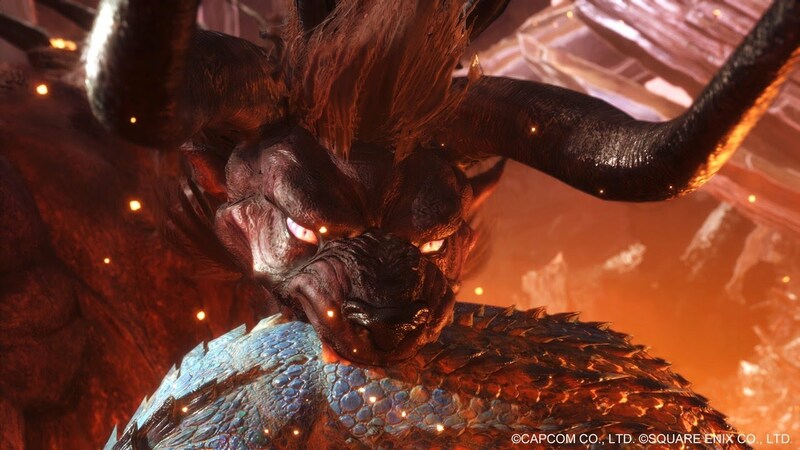 Alongside Behemoth, there will also be a quest to fight a large Kulu-Ya-Ku holding an Aetheryte crystal. Cactuar will also make an appearance, functioning like the Gajalakas and disrupting hunts. It seems their spines can be turned against monsters though. Check out the trailer below to see it all for yourself. Monster Hunter World is currently available for Xbox One and PS4 but will also release for PC on August 9th.